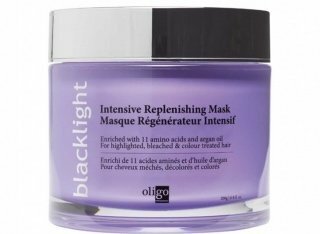 Blacklight’s Intensive Replenishing Mask is enriched with 11 amino acids and argan oil. Its unique formula moisturizes, strengthens hair structure and repairs surface damage while increasing shine and colour retention. With continued use, this highly effective mask revitalizes hair and restores manageability.